Kleen Mist Car Wash has been serving Shamokin Dam, PA and the surrounding communities since 1978. 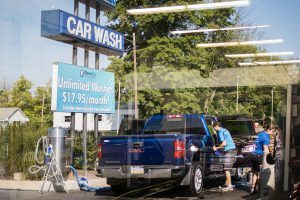 Offering a variety of services including car washes, detailing, and the unlimited Kleen Pass, Kleen Mist has become the full-service, one-stop location for motorists on the go in the Susquehanna Valley. Our convenient car wash in Shamokin Dam, PA is ideal for residents in Selinsgrove, Lewisburg, and surrounding areas. Simply stop by and let our team do what we do best – send you off with a fresh, clean vehicle. We take pride in delivering a level of attention to detail that’s second to none! Visit us today in Shamokin Dam next to McDonald’s on Routes 11 & 15!